Last month, the city’s Department of Housing Preservation and Development (HPD) announced that it selected developers to build affordable housing on 87 city-owned vacant lots, which could produce almost 500 affordable homes. This came the day after Comptroller Scott Stringer released a report criticizing the city for moving slowly on developing such lots. As New York City staggers through the unrelenting affordable housing, homelessness, and displacement crises this plan is a missed opportunity that we can not tolerate. The city has repeatedly squandered the most value asset - land - it has in fighting these crises. Instead of giving away these vacant lots, the city should keep them and create a public land trust. New York City owns 1,125 vacant lots. 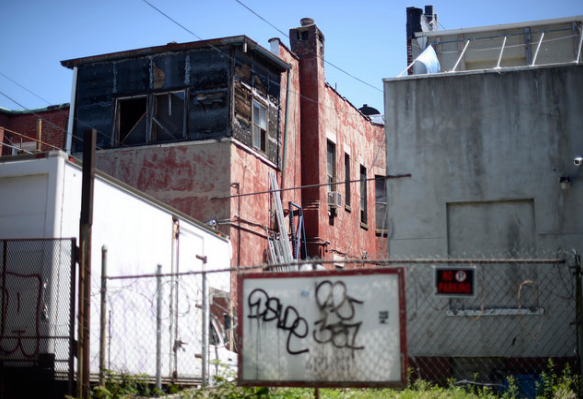 For decades it has relied on an insider-favoring process that turns over vacant properties to private developers and some non-profit developers. That number doesn't include city-owned distressed properties, which is bound to spike as foreclosures are nearing great recession levels. In either case, the transfer comes with laughable requirements for (and definitions of) affordable housing. This process is the result of a long retreat from the public ambition that defined New York City during its period of great growth in the first half of the 20th century. An activist city government - albeit one tainted by machine politics and systemic racism - built institutions that expanded the very idea of what public life could be and made modern New York City possible. That all ended in the 1970s and left subsequent leaders wary of ambitious public growth and reliant on powerfully connected private actors. This must change. Our over-reliance on the private market has demonstrably failed the public interest and carries much of the blame for the mess we are in. Using the community land trust model, the city should retain ownership of the land - removing it from the speculative market that drives up prices - and contract out development based on a fixed equity model that incentivizes construction while limiting costs. It would then directly own and manage this housing stock, guaranteeing that 100% of it is permanently affordable for low- and middle-income households. Make no mistake, what I am suggesting is public housing. A new, 21st century form that avoids the previous century’s mistakes of massive public housing developments while retaining its public virtues. Public housing, for all of its problems (thanks to a loss of $1 billion in federal funding since 2000, with more reductions on the way), is still the best vehicle for providing New Yorkers with sustainable affordable housing. Despite its operational failures, NYCHA currently offers an average monthly rent of $509 to over 400,000 New Yorkers in 176,000 homes and has a waiting list of 257,000 families. Public housing works and we need more of it. A public land trust that takes advantage of small-site development on vacant lots would work even better as a public housing model in today's economic, political, and social landscape. Instead of the discredited 'shotgun' approach of megablock development that destroyed existing communities while isolating its newly created ones, this approach would be a syringe-sized injection of affordability into existing communities and landscapes. Neighbors would barely notice the physical changes while enjoying the practical protections of permanent affordability taking root across individual sites. Most of these lots are in distressed neighborhoods that are at high risk of displacement as speculative developers (many of them private equity firms) swoop in. The best, fastest way to address displacement in these neighborhoods is through public-owned land anchoring their development. The community land trust model works, too. It has successfully provided permanent affordability across the United States for decades, notably in Burlington, Vermont (initially supported by then-mayor Bernie Sanders) and in Dudley Square in Boston (created by local residents who were granted eminent domain). Even here in New York City, the city's first trust, Cooper Square, has quietly managed hundreds of homes in the Lower East Side as a community land trust since 1994. Speaking of Cooper Square, through its efforts along with the New Economy Project and NYCCLI, the community land trust model has finally started to get the attention it deserves in New York. Last year HPD and Community Enterprises announced $1.65 million in initial funding for the creation of new CLTs and training programs. Many elected officials like Borough President Scott Stringer, Council Members Donovan Richards and Margaret Chin, and Attorney General Eric Schneiderman have all worked to expand CLTs in the city. These developments represent the chance for a fundamental shift in how to create permanent affordable housing in New York City. The land trust model does not rely on excessive tax-subsidies to private developers, flimsy definitions of affordability, or unenforceable protections for maintaining affordability over time. It is simple and sustainable. We should all be excited that the city finally sees this as a viable policy tool. However, if Mayor de Blasio wants to deliver on his promise to build or protect 300,000 affordable housing units while also recommitting to public housing and NYCHA, he should take the next step by transferring the city’s many vacant lots into a public land trust. We know the model works. The city knows the model works. Usually the hardest part is acquiring the land, but the city already has it. There is nothing to stop a public land trust from getting into the fight. New York City was once capable of envisioning and delivering bold progress for the public good. We need this again, updated for the 21st century. The mayor has at the very least claimed this rhetoric and along the way tapped into a respondent audience in many corners of the city. Now it is time to act.